Researchers at the University of Vermont Associate Professor of Medicine Jeffrey Spees, Ph.D., have identified a new tool that could help facilitate future stem cell therapy for the more than 700,000 Americans who suffer a heart attack each year. Stem cells, which can come from embryos, fetal tissue and adult tissues, have the capacity to transform into a wide range of cell types in the body, including muscle cells, brain cells and red blood cells. These cells also possess the ability to repair human tissues. The field of regenerative medicine - which explores the viability of using embryonic, fetal and adult stem cells to repair and regenerate tissues and organs - has struggled to successfully graft cells from culture back into injured tissue. "Many grafts simply didn't take; the cells wouldn't stick or would die," explained Jeffrey Spees. Sprees and his team focused on a type of bone marrow-derived progenitor cell that forms stromal cells. 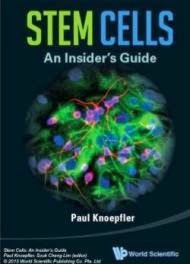 Stromal cells form connective tissue and also support the creation of blood cells. The researchers were aware of that these cells secrete a diverse array of molecules - called ligands - that protect injured tissue, promote tissue repair and support stem and progenitor cells in culture. Different ligands interact with specific receptors on the surface of a stem or progenitor cell, transmitting signals that can instruct the cell to adhere, to divide, or to differentiate into a mature functional cell. To confirm whether or not these types of ligands would protect a cardiac progenitor cell and help it graft, the group isolated a conditioned medium from human bone marrow-derived progenitor cells. They found that the medium contained Connective Tissue Growth Factor (CTGF) and the hormone insulin. "Both CTGF and insulin are protective. Together, they have a synergistic effect." said Spees. In the study, Spees and colleagues compared the impact of sending a cardiac stem cell "naked" into a rodent heart with infarction (heart attack) to a cell that instead wore a "backpack" of protective ligands, created by incubating about 125,000 cardiac cells in a "cocktail" of CTGF and insulin on ice for 30 minutes. The team grafted the cells sub-epicardially -- between the outer layer and the muscle tissue of the heart -- and found that their priming cocktail resulted in improved graft success. "We broke the record for engraftment!" said Spees, adding that the team's priming tool (named "Cell-Kro") dramatically increases cell adhesion, proliferation, survival, and migration. 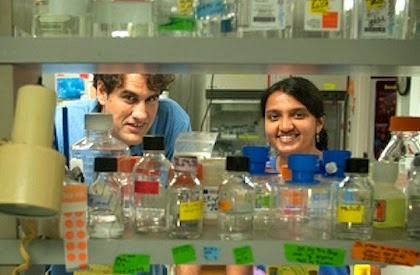 While Spees and his colleagues continue to study grafting with cardiac stem cells from rats, the future could include human cardiac stem cells and human trials. "There are about 650,000 bypass surgeries annually. These patients could have cells harvested at their first surgery and banked for future application. If they return for another procedure, they could then receive a graft of their own cardiac progenitor cells, primed in Cell-Kro, and potentially re-build part of their injured heart." said Spees. The study was supported by the National Institutes of Health Grants.